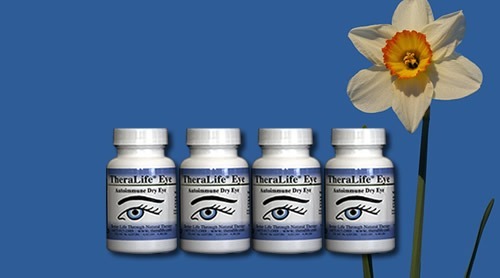 A unique proprietary formula offering sustainable, lasting relief for dry eyes, dry mouth, joint pain, fatigue, and more. Contains everything you need to get started in treating autoimmune disease dry eyes related to conditions like Sjogren’s syndrome, rheumatoid arthritis, ocular rosacea, Graves’ disease, Raynaud’s, lupus, bone marrow transplantation, graft versus host disease, and more. 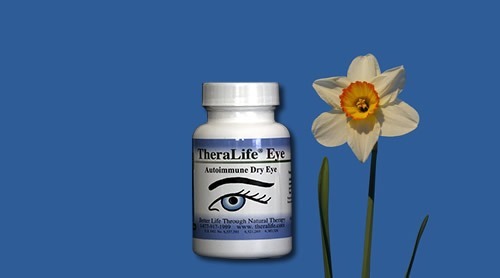 We highly recommend TheraLife® Eye Autoimmune plus TheraLife® Omega-3 Fish Oil and TheraLife Fatigue as a total solution for individuals who suffer from dry eyes related to autoimmune diseases. Discount prices available. 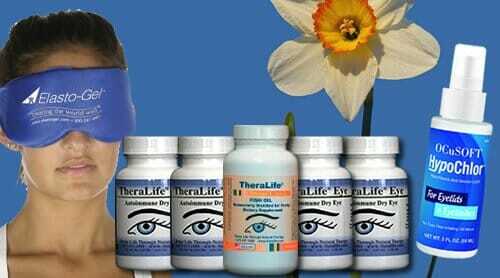 For customers who have their own fish oil or flax seed oil (vegetarian substitute), you may purchase TheraLife® Eye Autoimmune only. 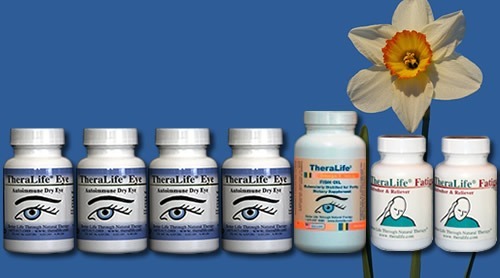 We recommend adding TheraLife® Fatigue (2 bottles) for a total autoimmune solution. For customers with already established tear film stability. Includes 4 bottles plus TheraLife® Fatigue (2 bottles). For customers with already established tear film stability. Includes 2 bottles of TheraLife® Autoimmune.